Ashing Machine and Tool has extensive experience with heat shield fabrication. Highlighted components show the full range of projects. We work from a simple laser cut base component going into a two-station hand transfer shield merge die followed with a post merge form finish station. Die design considerations were made allowing the shield element to move during the final form operation. The second die is a multi-station progressive die with interleaved formed legs and a floating element retention. 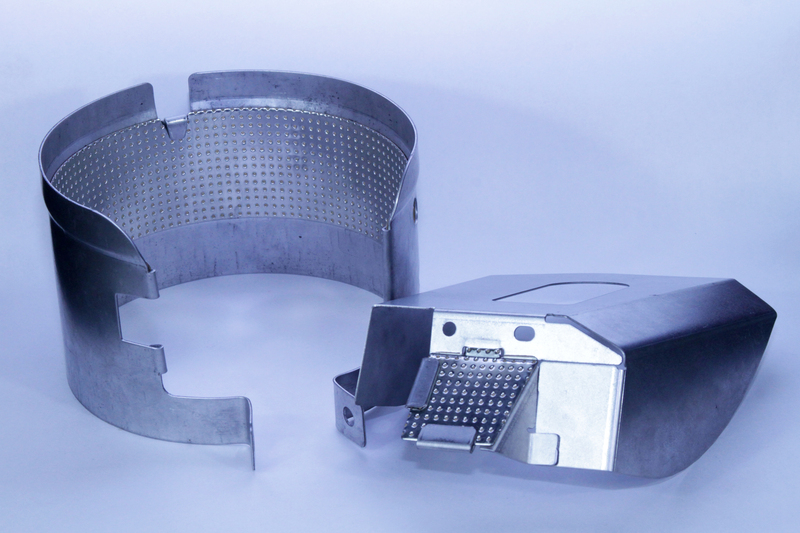 Call on Ashing Machine and Tool today for your heat shield projects.